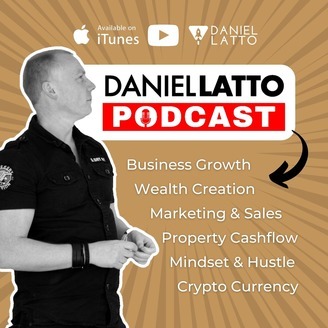 The Business, Property & Wealth Creation Podcast, brought to you by Daniel Latto is designed to help you realise the steps you need to take to achieve Financial Freedom in the next 5 years or less. The podcasts covers three main areas 1. Cut Costs 2. Generate Cash (Business) 3. 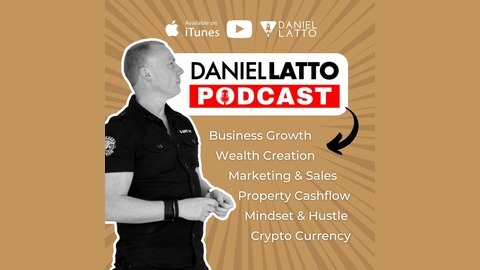 Invest the rest (Property) Over the series of podcasts, I'll be going through the step by step actions you can take, including any Business & Property Strategies along the way that can accelerate your results. The Podcast is hosted by Daniel Latto. Daniel Latto is a business coach originally from Leeds, and now lives ini the Med providing advice for business owners and entrepreneurs. You can contact Daniel Latto at his website at http://www.daniellatto.co.uk. These days, every one and their dog has an opinion about your life. And in todays Socially Connected world, opinions are around us more than ever. Often unqualified to comment, with frankly zero expertise in the area you're working on, why do we let other peoples opinions to matter to us so much ? Podcast 260 - The Biggest Opportunity You Will Get This Year!